KARACHI: The Pakistan Cricket Board (PCB) has issued a notice to experienced allrounder Muhammad Hafeez and asked him to explain his comments about the International Cricket Council (ICC) rules on suspected illegal bowling actions. By PTI KARACHI: The Pakistan Cricket Board (PCB) has issued a notice to experienced allrounder Muhammad Hafeez and asked him to explain his comments about the International Cricket Council (ICC) rules on suspected illegal bowling actions. A source in the board said that the PCB is not happy with the comments made by Hafeez in his interview to BBC Urdu as it breached his central contract’s code of conduct. Hafeez, whose bowling action was cleared for a third time in three years after a bowling assessment test by the ICC, lashed out at the implementation of rules on bowling action. “There are so many things influencing [who gets called for suspect actions], it has a lot to do with the power of [some] boards and nobody wants to take them on,” Hafeez said. 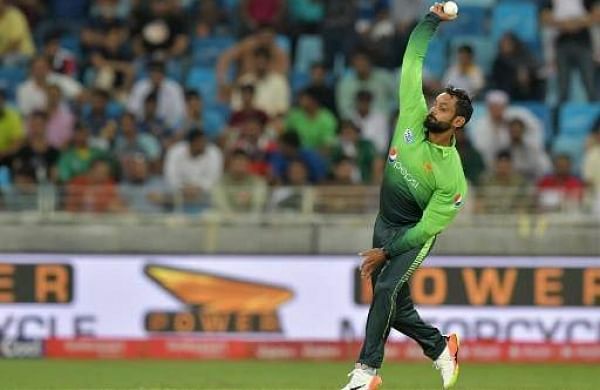 Hafeez, who is fighting to regain his place in the Pakistan team, underwent a re-assessment of his bowling action at the Loughborough University in England last month where it was revealed that the amount of elbow extension in his bowling action was within the 15-degree level of tolerance permitted under the ICC Illegal Bowling Regulations.